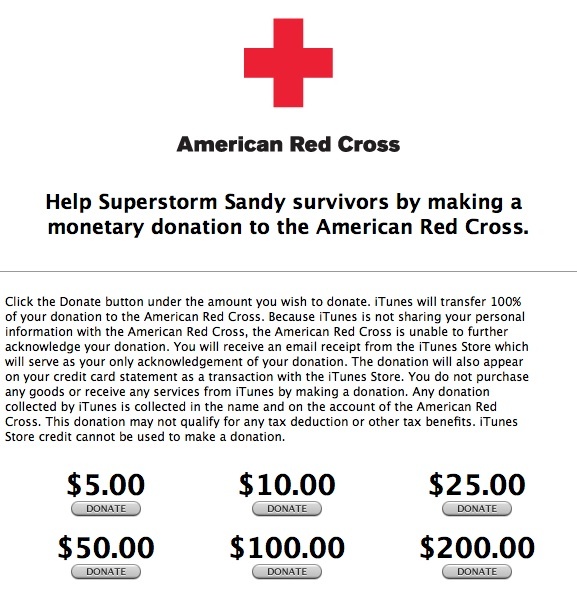 Apple has just started accepting donations towards the Superstorm Sandy relief efforts by launching a new page on iTunes Store, enabling users to donate money directly to the American Red Cross using their existing iTunes Store accounts in denominations of $5, $10, $25, $50, $100, and $200 (via MacRumors). The dedicated donation page is accessible through the desktop iTunes Store as well as the iTunes and App Store apps on iOS. Since apple has over 400 million active iTunes Store accounts with credit cards attached, the move can play a significant role in donation collection program. 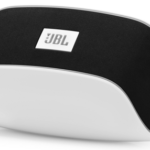 Similar campaigns have been conducted by Apple in the past such as in January 2010 following the Haitian earthquakes and in March 2011 following the Japanese earthquake and tsunami.